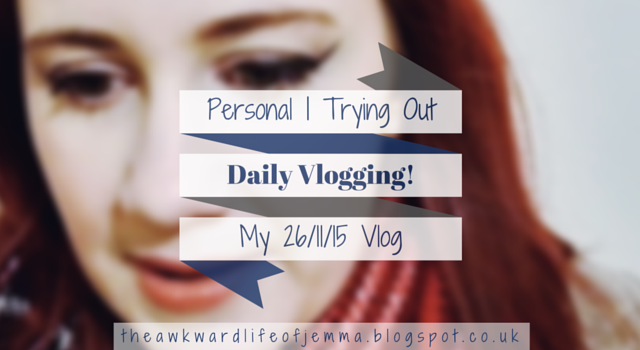 Personal | Trying Out Daily Vlogging! Two posts in one day, I don't think that has ever happened before! I decided that I would give vlogging a go for the first time yesterday! I'm not sure what prompted me to do it but I actually had a lot of fun so I am thinking of doing it a bit more. Let me know what you think and I might start uploading them more often. I'm thinking every other Wednesday to begin with and I might upload entire days (if I do something interesting) or put together a weekly vlog instead. You can tell my decision to vlog was spur of the moment as I start chatting pretty much as soon as I've got up while I'm still in my onesie! I was quite happy with how the vlog turned out however so I decided to upload it anyway, even if I don't look my best (that's an understatement!). Watch the video below to see me chatting away, decorating a cake, getting ready to go out and showing you what I bought from Hobbycraft yesterday!